The WAG Talent Programme has had considerable success since its launch in 2013. More than 1000 young gymnasts have attended over 60 camps and an incredible 800 coaches have attended our coaching clinics. Over the past 2 years we have seen a 5% increase in girls passing Compulsory Level 2. In addition, the scores achieved at compulsory Level 2 and 3 have increased by 3% between 2013 and 2015. 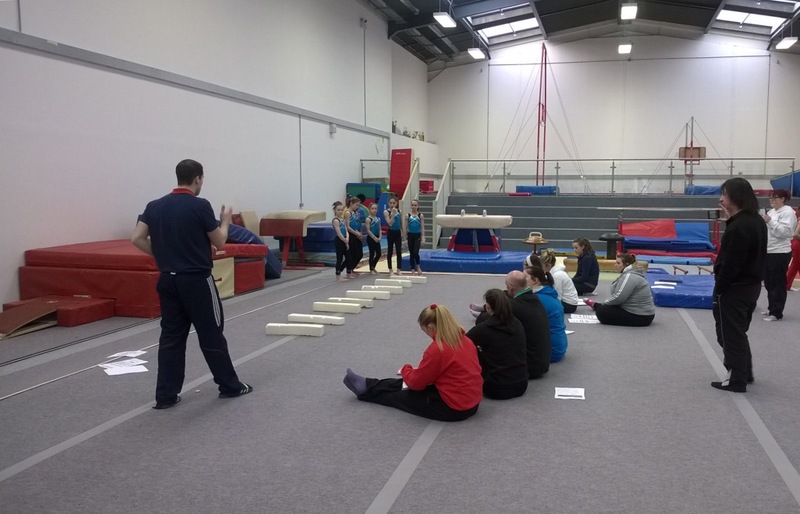 The National Coach Clinic series launched in April 215 has been very successful and we have seen coaches travelling to one of our Beginner, Intermediate or Advanced clinics at various locations across the country. With an average of 25 coaches attending each session, these clinics also offer an excellent networking opportunity for coaches. The National Coaching Clinic series will continue to run in various locations across the country.These sessions offer beginner, intermediate and advanced learning opportunities with some of the best development and performance coaches in the country.In addition, the clinics are supported by a representative from our team of National Coaches. The day consists of practical coaching work, a technical interactive session, a question and answer session and the opportunity to access a number of resources available only to Performnace Pathway participants. From April 2016, a new WAG National Talent Development Squad will replace the regional camps. The new squad will sit just below the Home Nations Development Squad and will be seen as a progressive stepping stone into Age Group National Squads.Training camps will be held across three weekends throughout the year resulting in 12 high quality sessions being led by the team of High Performance Pathway Coaches. The squad will be selected from gymnasts competing at Levels 4, 3 and 2 from combined scores at the Age Group Championships. There will be an opportunity for addition of wildcard nominations from across the 3 Levels which will be selected at the discretion of the WAG Head National Coach and Performance Pathway Manager. All personal Coaches will be invited to these sessions. Continunity of athlete and personal coaches in attendance combined with ideal performance environment will create a truly meaningful series of development events. In addition, an "open door" policy will be inplace throughout the year giving coaches across the country who may have not had a gymnast selected, to attend and further their knowledge.